As a manager at a startup, one of the most frequent decisions we have to make is whether to deploy our limited resources towards promotion and advertising without any guarantee of a decent return on investment (ROI). Regardless of the size of your business, there will always be less-expensive means of advertising and promotion. So, the decision to spend more has to be made cautiously. Otherwise, it could be a waste of very limited resources. Now, I was a little bit surprised when Chi, one of Nigeria's top conglomerates splashed huge sums on an endorsement deal with one of the biggest football (soccer) clubs in the world, Manchester United. The question for me at that point was: why is Chi spending so much money on this deal when it is aleeady an established brand in Nigeria and even South Africa? Is the additional spending worth it when the company could embark on other forms of advertising and promotion at a lower cost? I wasn't convinced that Chi was getting '100% or nothing' from the Manchester United endorsement deal for its Chivita drink until this afternoon when I checked Twitter and found 'Chivita FC' trending in Nigeria. 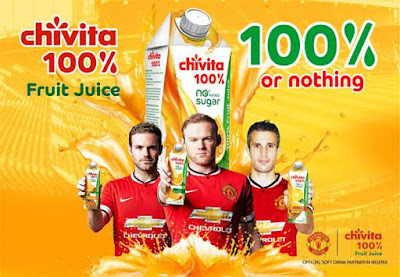 Fans of rival English clubs like Arsenal and Chelsea were mocking Manchester United for losing 1-3 to Middlesbrough on penalties after a 0-0 draw at the end of 90 minutes in the Capital One Cup last night and dubbed the team "Chivita FC" based on the Chivita advert in which the club's current and former players are seen splashing in juice while playing football and at the end they shout: "Chivita, 100% or nothing". It hit me, that Chi has not wasted money to get endorsed by Manchester United and it is obvious that Chivita is benefitting from its association with the club. The lesson for me is that while getting yourself identified with bigger brands might be expensive, it does pay-off in the long run when you get your campaign right. 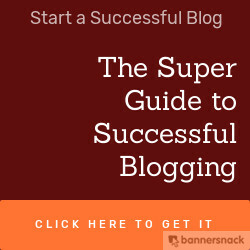 So, not only do you have to spend money to get endorsed, you should also be creative with your promotional campaign to get the best mileage and ROI. Manchester United may have lost last night, but Chi and Chivita won and continue to win by association. Labels: 100% or nothing, Branding and advertising, Capital One Cup, Chi, Chivita FC, Manchester United, Nigeria and South Africa.